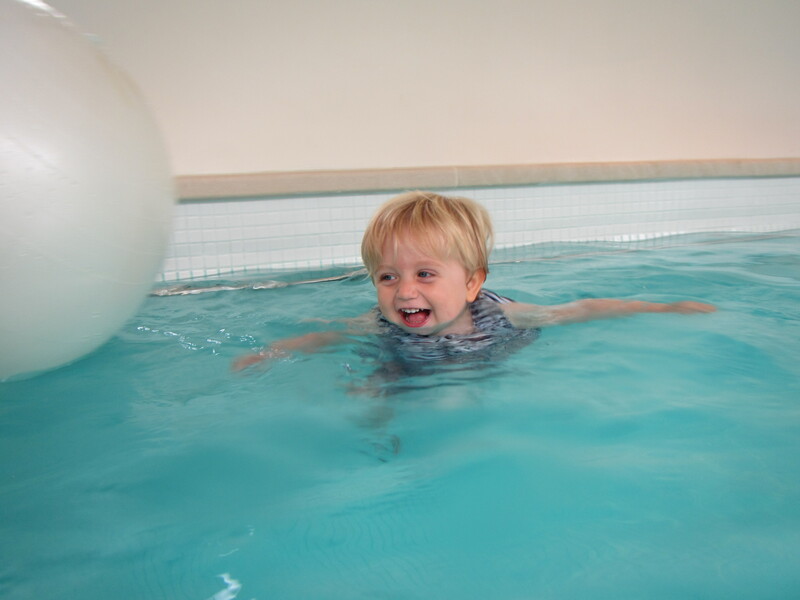 This week was a pretty momentous week for my little water baby: with the help of his float suit he had his first experience of swimming freely – and he loved it! We spent a couple of days at my parents’ house, enjoying the peace and quiet after the crazy brilliance of their party. We were keen to make the most of their pool, and specifically to try out the float suit we’d ordered from Splash About. We’d tried it out a couple of times when we were in Cyprus, but he was a little little for it then. It fits him much better now, though it still took a bit of getting used to. In our first session he was happy to hold on to the bars at the side of the pool, enjoying the novelty of not being supported by us but floundering a bit when we encouraged him to move away from the side. And then the next day he amazed us by letting go, finding his balance, and actually beginning to move through the water. We’re working on getting his legs kicking and paddling with his hands now, and he seems to be picking it up incredibly quickly. 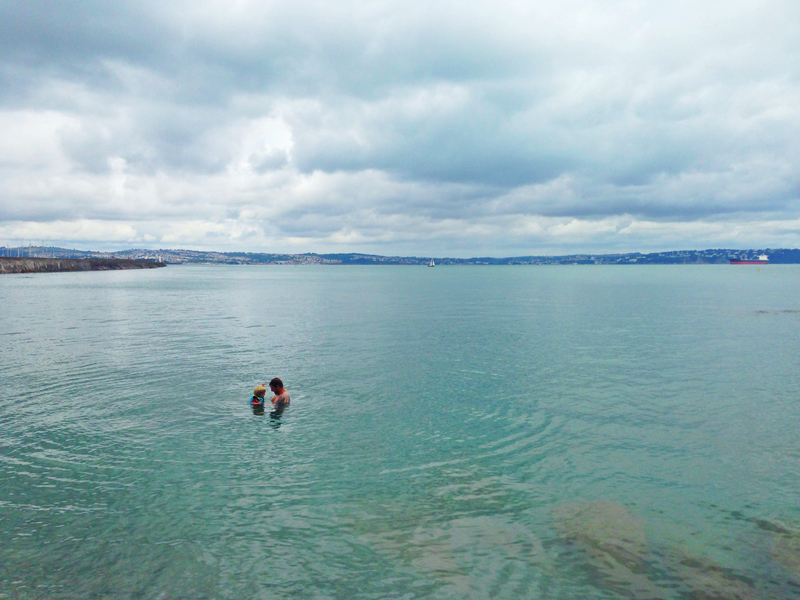 He even had a go in the sea when we were back in Brixham: the float suit seems to be working so well that we’ve invested in a little neoprene float jacket too for the colder water. It’ll obviously be a little while before he’s able to swim without all the extra buoyancy, but it’s a pretty impressive start! I’m not sure who’s more excited by his new found skill to be honest – Arthur is clearly thrilled with himself, but I am one proud mummy. 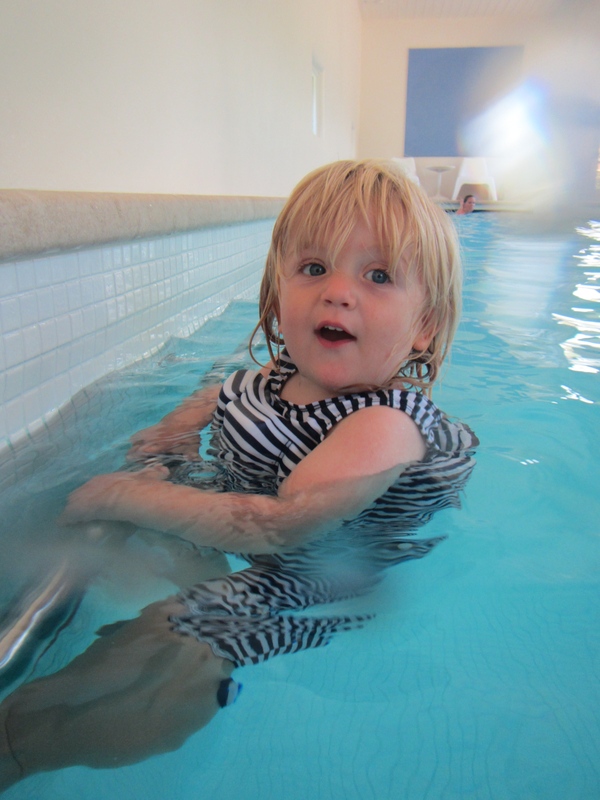 This entry was posted in Sophie is parenting, Uncategorized and tagged float suit, learning to swim, splash about, toddler swimming on July 18, 2014 by sophieblovett. Aww what a fabulous milestone, I love those float suits they allow them to move more freely than armbands etc.